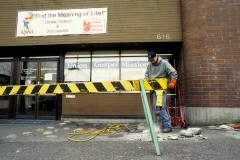 Union Gospel was an activist performance at the Union Gospel Mission in Vancouver’s Downtown Eastside. The Mission provides free meals and shelter for many of the residents of Vancouver’s homeless community. 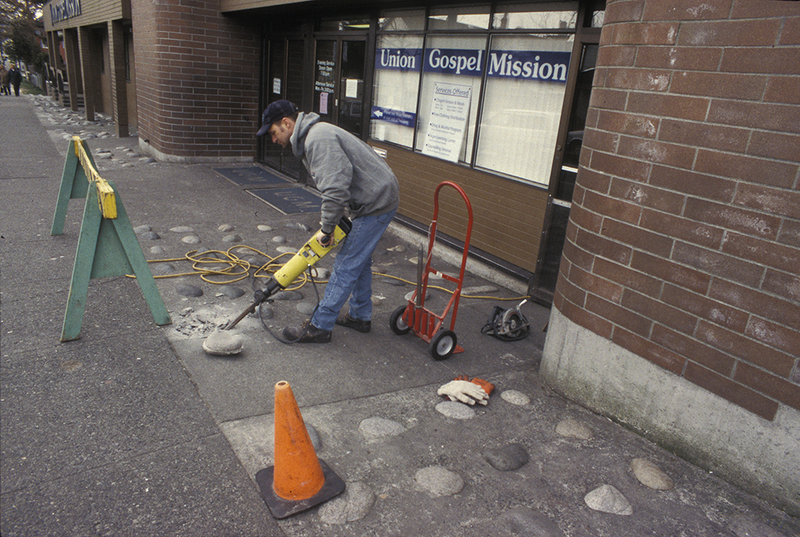 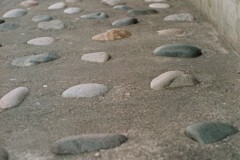 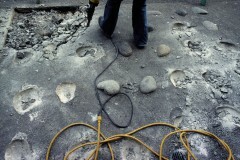 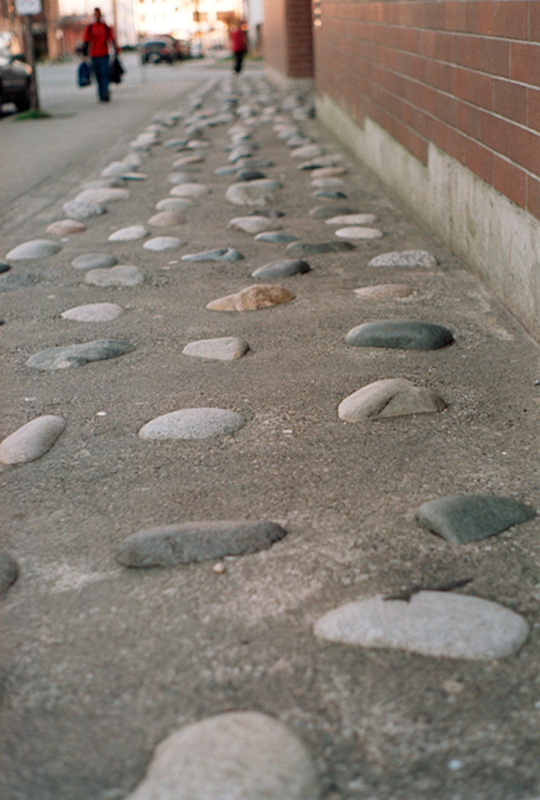 The work involved the demolition of the existing concrete sidewalks in front of the Mission, which had been embedded with large protruding stones set into the sidewalk in order to prevent loitering. 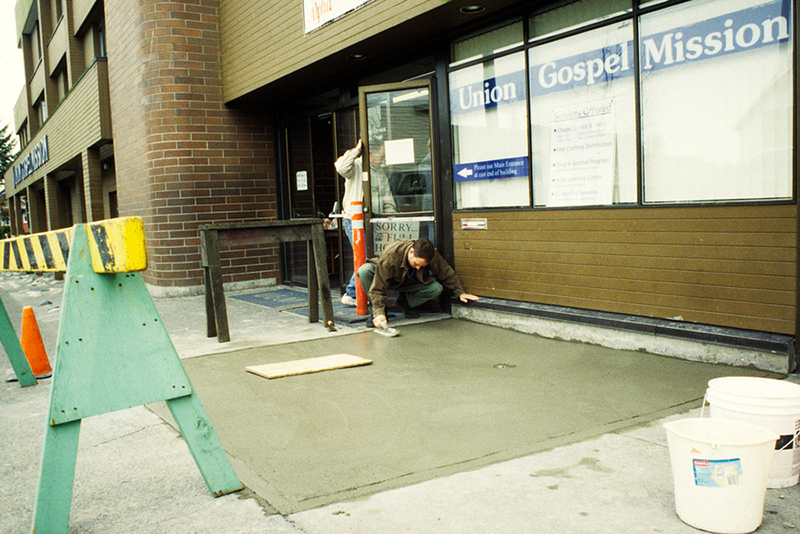 Once removed, the sidewalk was replaced with a new textured non-slip concrete surface. A protective all-weather exterior awning was installed overhead. 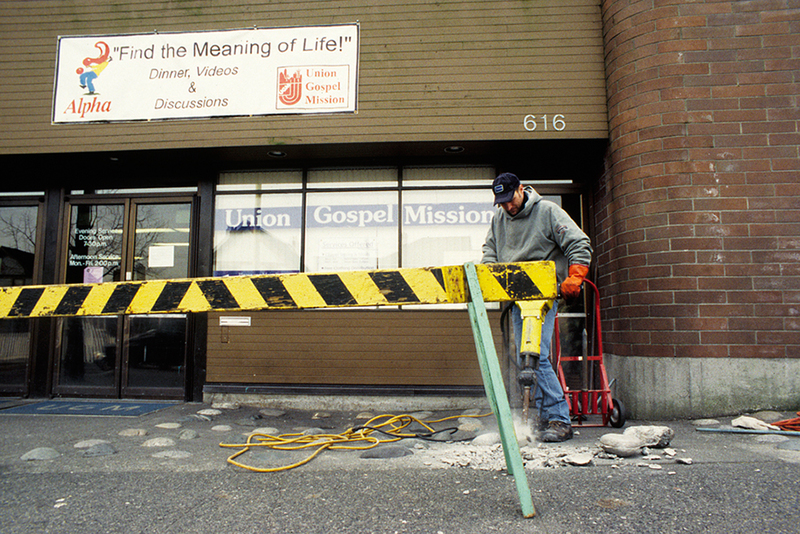 While the active gesture of Union Gospel was able to change the façade of the Union Gospel Mission bringing the exterior form of the building to more closely reflect the community-based charitable acts of its interior, the work implies a kind of activism that seeks to reconcile public architectural spaces and the communal activities that inhabit them.